A Very Attractive USA Hand Held Flag. Sewn Sleeve On Attractive White Pole. Made from 100% Superior Polyester Fabric....Bright Attractive Vivid Colors. Flag Measures 4" x 6". Comes With Attractive White Plastic pole. Pole measures approximately 10"...Sold as shown...For logo imprint on pole additional charges will apply, please inquire. 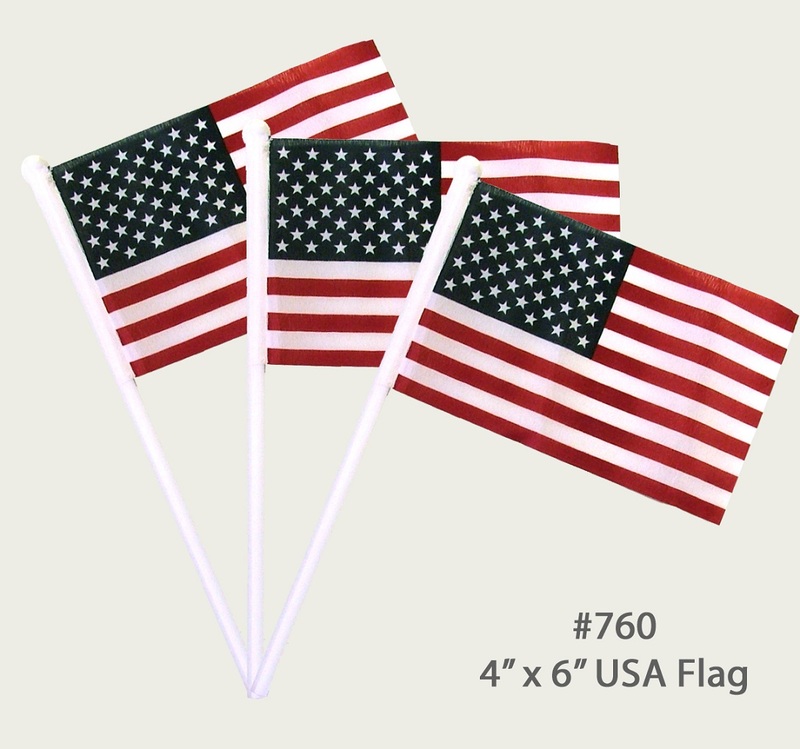 Polyester Flags Are Superior In Quality to Cotton flags. They Look Nicer, Fly Better And Last Longer...Our Sewn Sleeves Are Superior And Much Nicer Than The Cheaper Stapled Flags That Fall Apart Easily.